For lots of reasons, you ought to never try to do electrical work by yourself. Due to the serious hazards involved with electricity, only professional, licensed and insured electricians ought to handle your electrical needs. Even the jobs that appear simple and simple still need the services of a professional electrical contractor. You ought to never try to perform electrical work yourself. basically, overload a circuit and cause destruction to your home. No matter how simple the task might be, fires, electrical shock, and serious injury can occur if the work is not done correctly. If the work is more involved, there’s building codes and inspections that must occur. 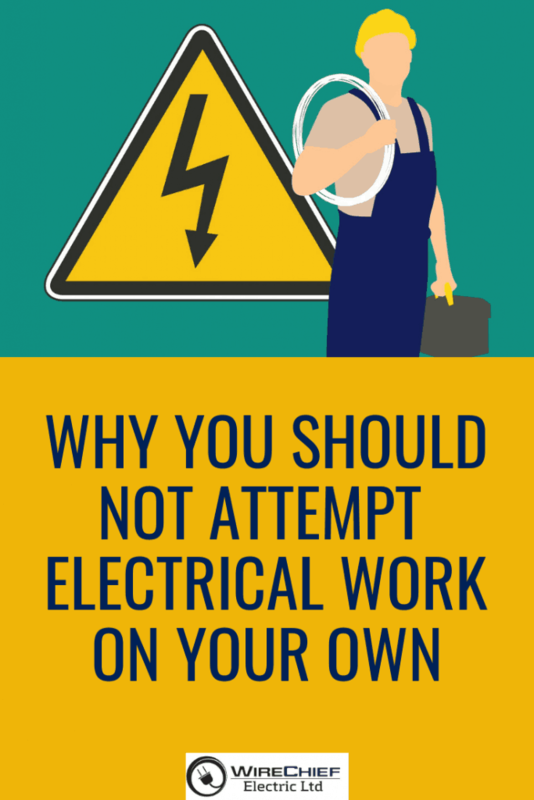 Everyone desires to save funds but doing electrical work yourself can cost you more in the long run in the event you try to take things into your own hands. Even installing a simple light switch can be done incorrectly in the event you don’t know exactly what you are doing. What looks to be a simple project can turn in to a nightmare due to inexperience. Call WireChief Electric Ltd. for all your electrical needs. Your reliable electrician in Vancouver BC.